The Russian team set a new record for their speed and accuracy of shooting during the tank biathlon at the International Army Games 2017, the chief judge has announced. 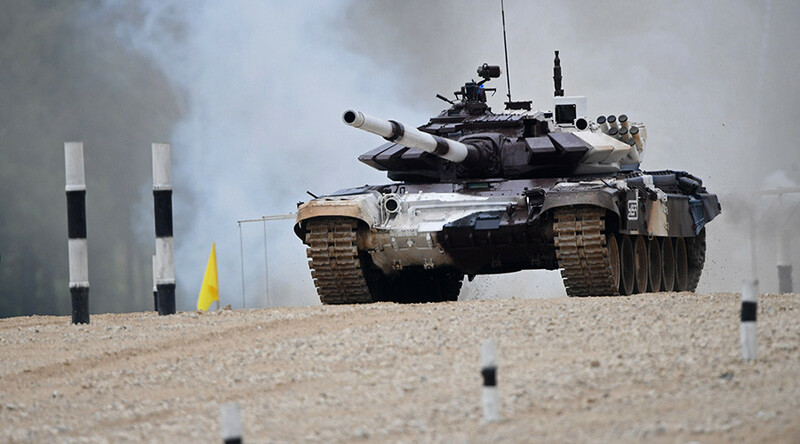 "As of today, the first crew of the Russian tank biathlon team has shown the very highest result – this is in fact the best figure for all the years of the tank competition on this track," Major-General Dmitry Gorbatenko, the chief judge of the Army International Games, told RIA Novosti. Last year, the best result of the individual event was attained by the Chinese team, which finished the race track in 21 minutes and three seconds but failed to hit one of their targets. This year they were beaten by the Russians, who finished in a time of 19 minutes 10 seconds without missing a single target. The Chinese team came second this year while Belarus scooped third place. The tank biathlon, held at the Alabino shooting range near Moscow, kicks off the International Army Games. Teams representing nineteen countries are taking part in the biathlon, including Russia, China, Serbia, India, Mongolia, Uganda, Armenia, Laos, Iran and Venezuela. Over the course of fifteen days, teams will have to drive their tank through an obstacle course while practicing precision fire. The tank biathlon is just one of 28 discipline comprising the International Army Games, which began Saturday and are set to continue until 12 August, simultaneously taking place in Russia, Kazakhstan, Azerbaijan, Belarus and China. According to Russian Defense Minister Sergey Shoigu, 3,500 soldiers from twenty-eight countries are taking part.